Sleep is a part of everybody’s life, but few people know how important it really is. Some people even try to get by with as little sleep as possible. Over the years we have discovered many things about sleep: the body’s major organ and regulatory systems are active during sleep, parts of the brain increase activity, and the body produces more of certain hormones. We know that sleep is important for our minds and bodies to function normally. But there is still a great deal we do not know and researchers still work to shed light on the many mysteries surrounding sleep. As fitness professionals, we all know about the many benefits of regular exercise. We could recite them in our sleep. But did you know that even a single bout of exercise can help improve the quality of sleep? And with that improved sleep comes many additional health benefits. So get ready to add to your list of exercise benefits as we discuss healthy sleep, sleep disorders, and what research has discovered about the effects of exercise upon sleep quality. Define and explain healthy sleep. List the common types of sleep disorders and their causes. Explain how lack of sleep or poor quality of sleep affects a person’s immune function, emotional health, and overall quality of life. Discus how acute and chronic exercise affects sleep. 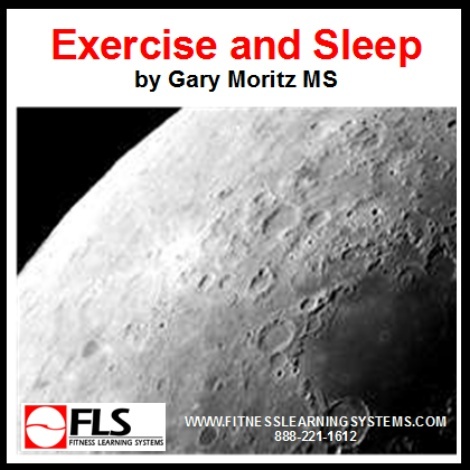 Explain how different durations of exercise affect sleep. Discuss how and when exercise affects the quality of sleep.